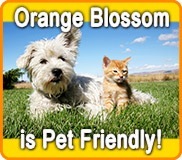 Welcome to Orange Blossom KOA! If you've ever stayed at one of the huge RV Parks in Orlando, FL with hundreds of sites, you know how impersonal the experience can be. We invite you to join us in the peaceful, friendly and welcoming Orlando, Florida RV Park tropical environment we've created. We offer many of the features you'd expect from a top-notch Orlando RV Resort... with our welcoming personal touch at no extra charge! 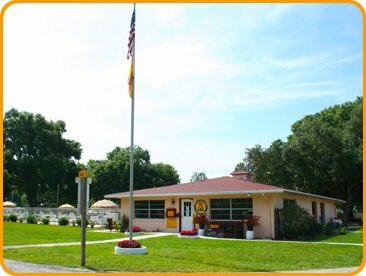 Just 15 minutes from downtown Orlando, our KOA Kampground is the perfect home base for RVing in central Florida. You'll love our great RV sites and facilities. Our Orlando area RV park offers spacious campsites, plenty of shade from mature oak trees and a location that's convenient to everything that central Florida has to offer. Come visit us today! Forbes Magazine says "Apopka is one of the friendliest cities in the country!" Read more. On-Site Owners Welcome You to Paradise! Hello and welcome! We're the owners of Orange Blossom KOA. We live here on-site, personally ensuring that our guests will experience the friendliest, most welcoming RV camping you'll find anywhere. Along with our dedicated staff, we work hard to meet your every need and know you'll love the beautiful tropical paradise we've created. We want to live in a beautiful setting ourselves, so we've made sure the environment at Orange Blossom KOA is appealing from the moment you arrive. 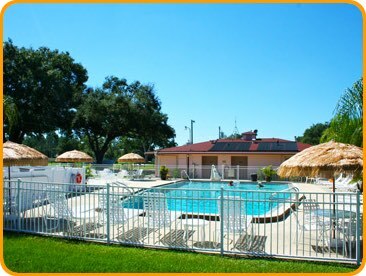 You'll love our safe and secure family-friendly environment, and our convenient location so close to major attractions. We've worked hard to make our park into a beautiful, friendly & welcoming destination for all of our guests. We're proud of the fact that so many RVers choose to visit us over and over again. We hope you'll come see what makes our little slice of paradise so special. Copyright © Orange Blossom KOA — All Rights Reserved.